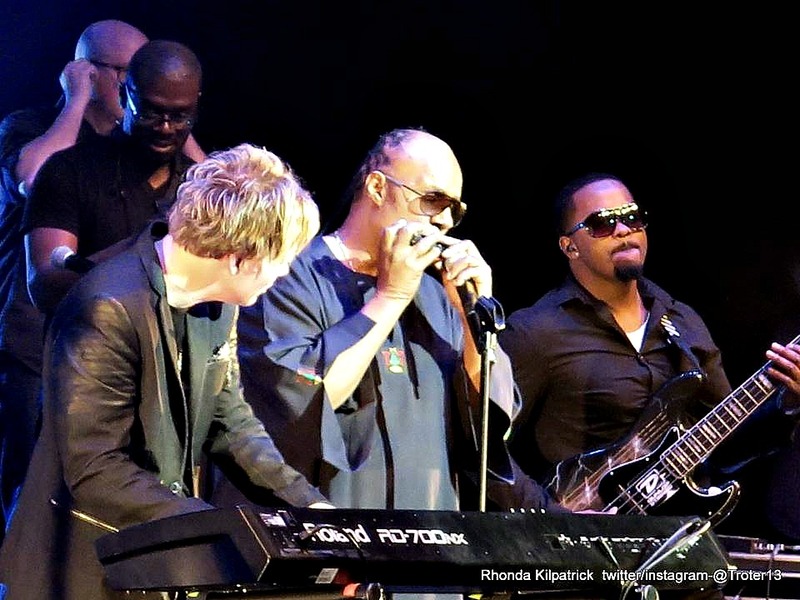 Stevie Wonder sits in with Brian Culbertson at Long Beach concert! 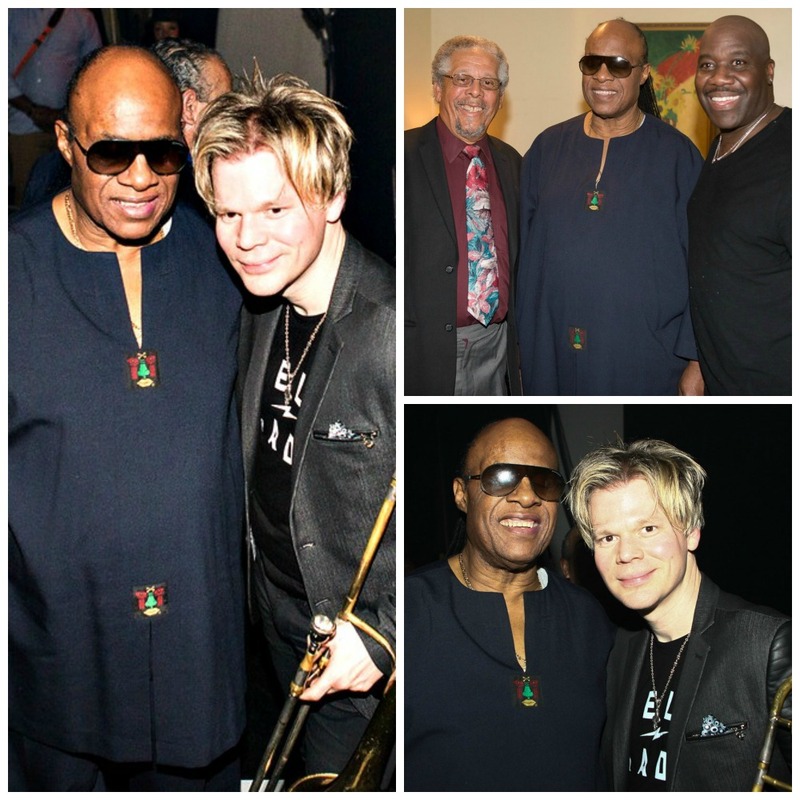 When Stevie Wonder walked on stage during Brian Culbertson‘s show last night, he thought the crowd had burst into ecstatic applause because they were diggin’ the way he was wailing on the keyboards. It was Valentine’s Day after all. 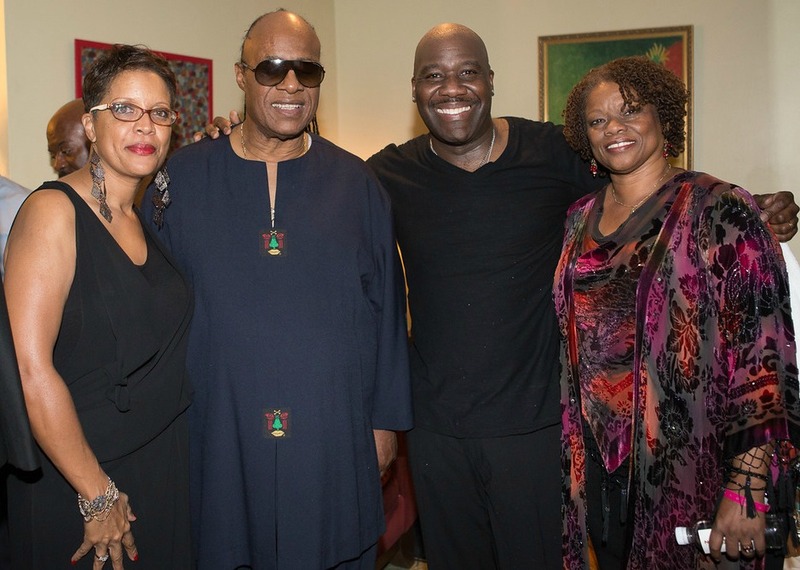 And, Brian was the headliner at Rainbow Promotions’ three-act concert at the Terrace Theater in Long Beach, CA, which also included saxophonist Jeanette Harris and Will Downing. 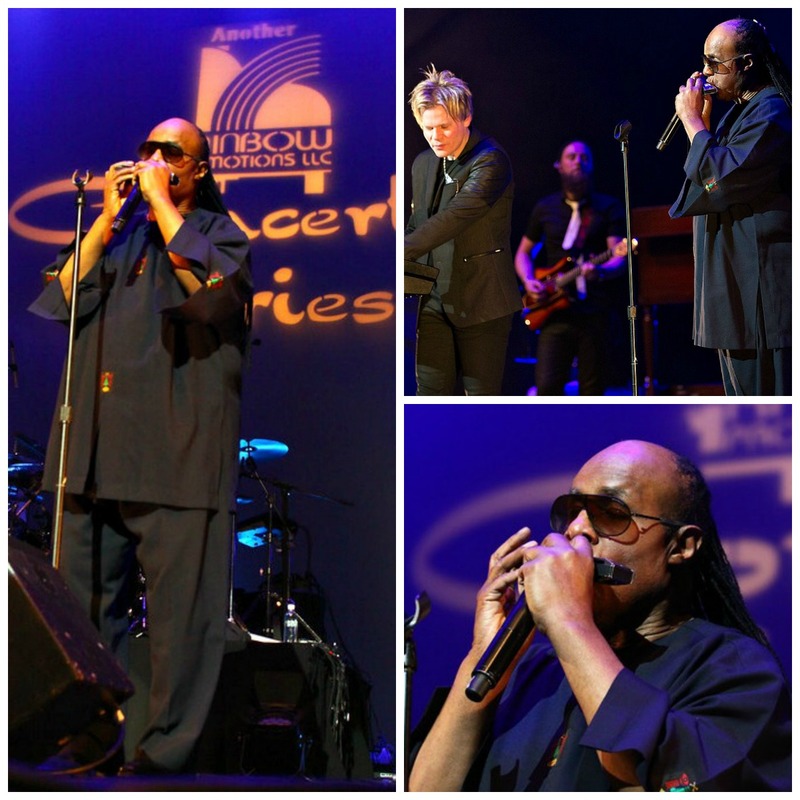 But when he lifted his head up and opened his eyes, Stevie was standing next to him playing harmonica. Startled and shocked, Brian bent over slightly, stepped away from his keyboards, cupped his face in his hands, shook his head, then stared at Stevie for a moment. 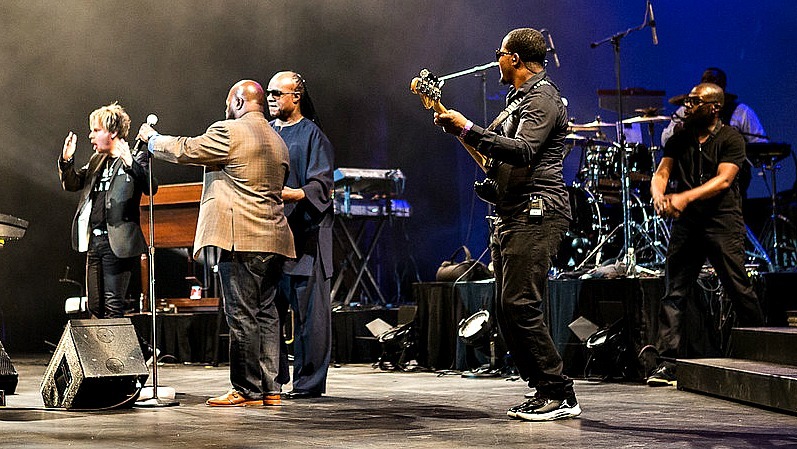 After composing himself from this surprise, he walked back, placed his fingers on those ivories and jammed with the 25-time GRAMMY winner. 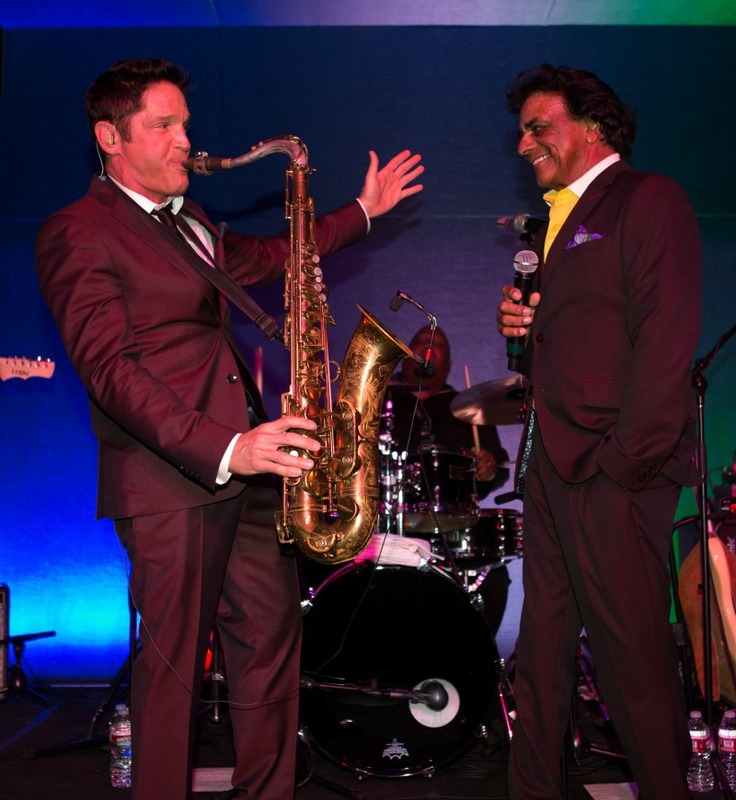 His band––comprising Marqueal Jordan, Chris Miskel, Eddie Miller, Michael Stever, Rodney Jones Jr. and a guitarist––jumped around the stage with expressions of joy and disbelief, never missing a beat. 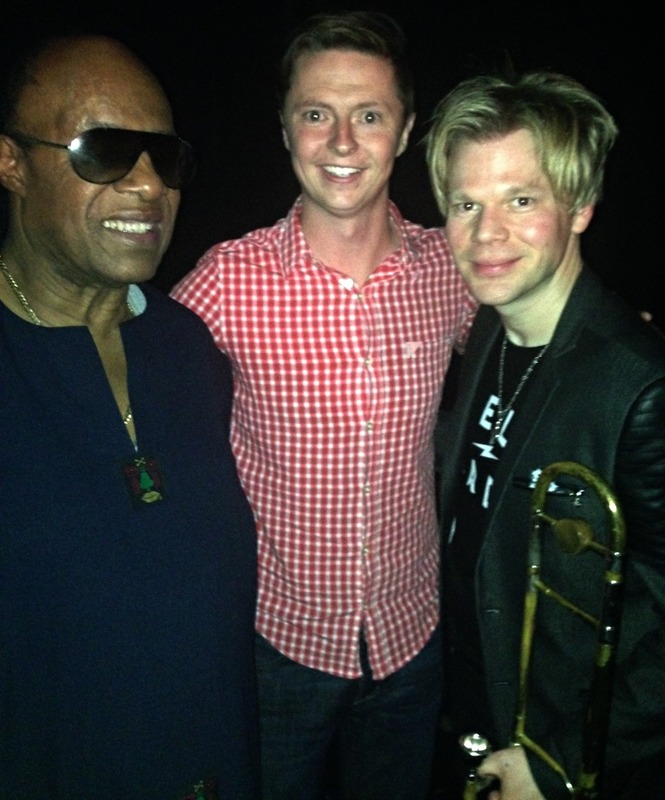 There had been rumblings all night that Stevie was in the house, but no confirmed sightings until halfway through Brian’s stellar performance. 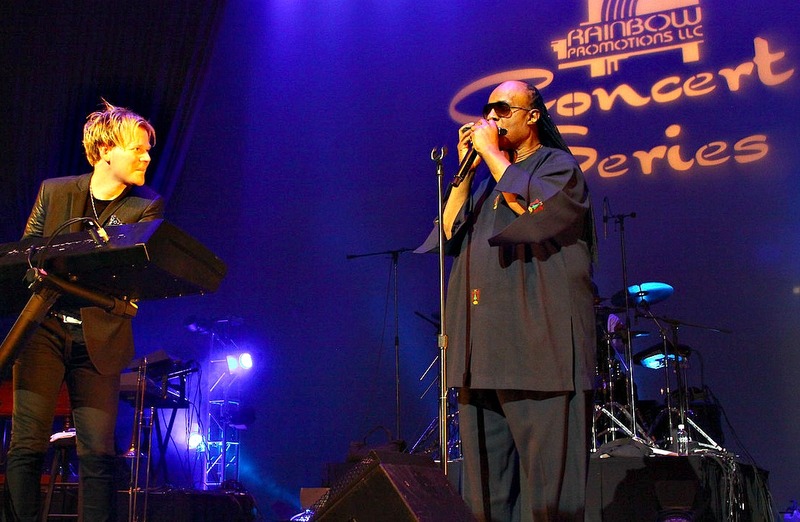 Stevie was certainly feeling the vibe of that signature Culbertson funky flair, which exuded the energy and showmanship of a major rock concert. 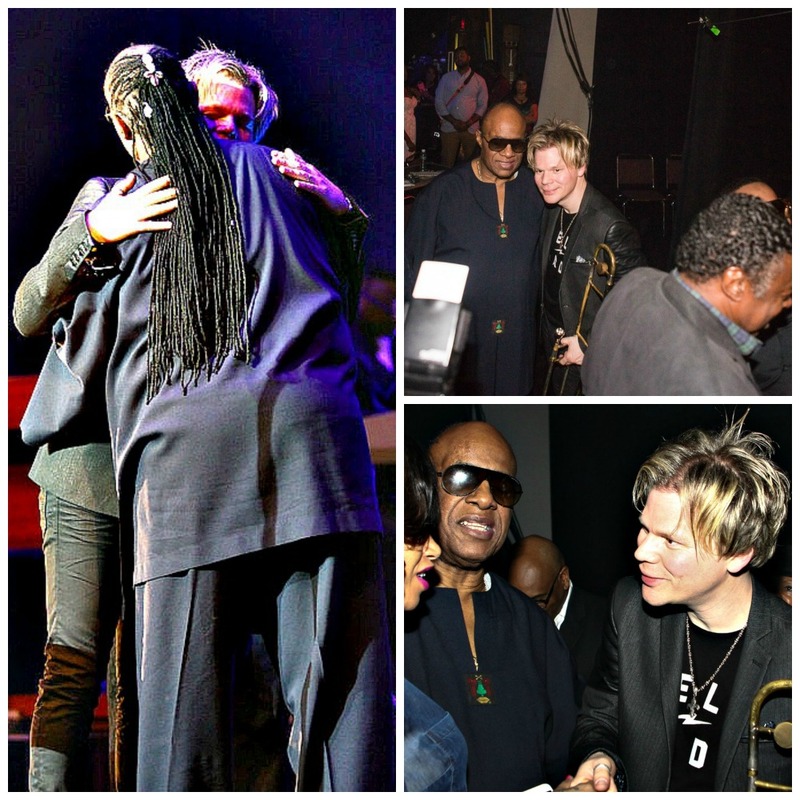 So, he emerged from backstage where he was enjoying the show, and joined the spiky-haired blond boy from Chicago. 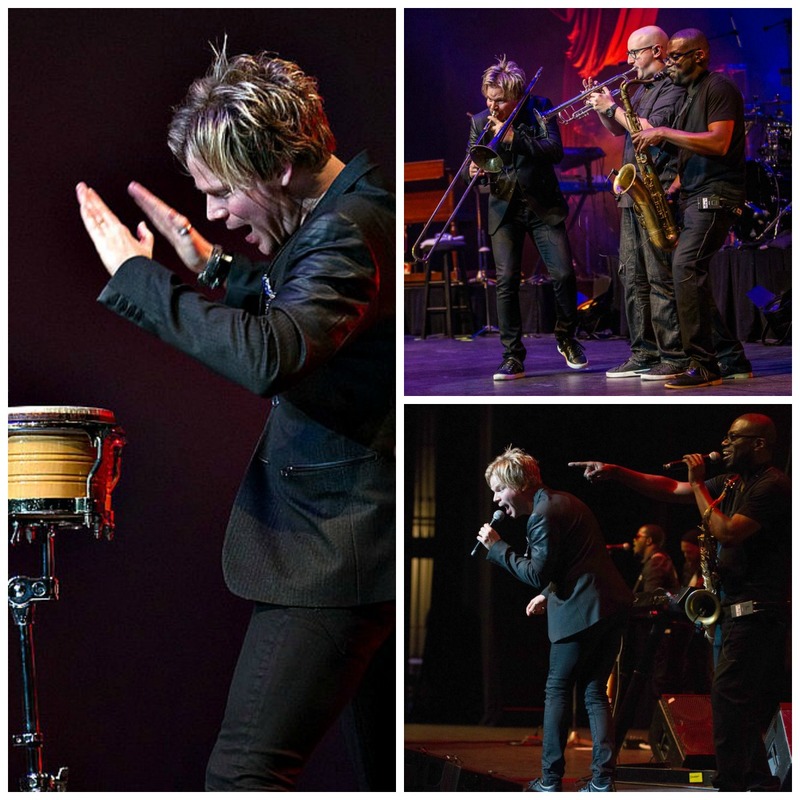 Brian Culbertson, who is celebrating his 20th year as a smooth jazz star, is also hosting his 4th annual Napa Valley Jazz Getaway, June 10-14. 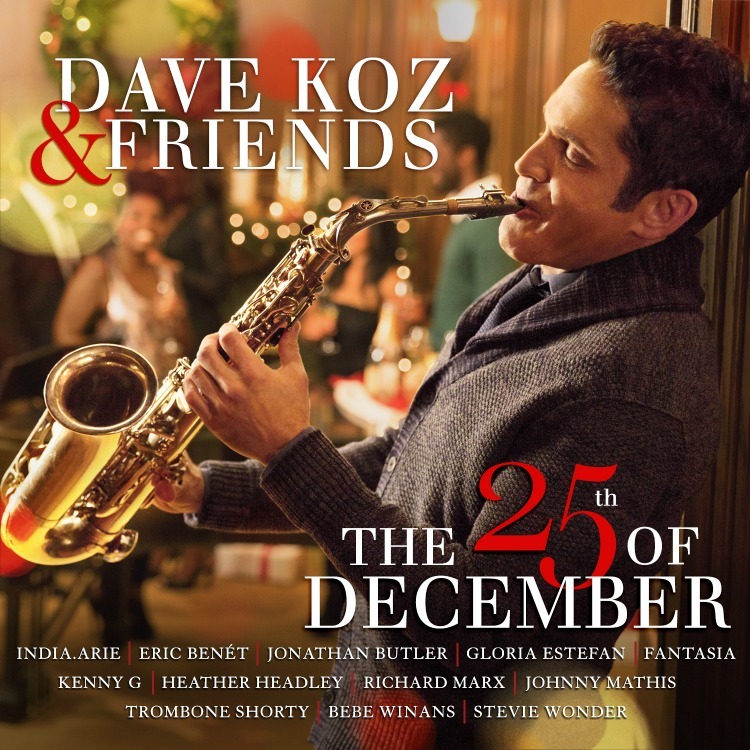 The lineup includes Al Jarreau, Chaka Khan, Boney James, Peter White, Mindi Abair, Eric Darius, Spyro Gyra, Kenny Lattimore, Maysa, DW3, Eric Marienthal, comedian Alonzo Bodden & more! 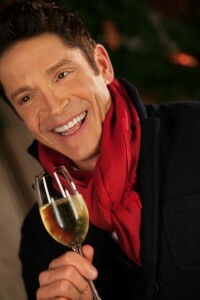 For more information on this 5-day, luxury wine & jazz festival held at Jamieson Ranch Vineyards and various venues throughout the Northern California Wine Country, visit www.jazzgetaway.com. For more information on Rainbow Promotions‘ events, including the Long Beach Jazz Festival, visit www.rainbowpromotions.com. Also, if you attended this concert, please post a comment below about your experience there. We’d love to hear from you! This entry was posted in Concerts and Festivals, Jazz Buzz and tagged Al Jarreau, Alonzo Bodden, Boney James, Brian Culbertson, Chaka Khan, DW3, Eric Darius, Eric Marienthal, Jeanette Harris, Kenny Lattimore, Long Beach Terrace Theater, Maysa, Mindi Abair, Napa Valley Jazz Getaway, Peter White, Rainbow Promotions, Spyro Gyra, Stevie Wonder, Valentine's Day concert, Will Downing on February 15, 2015 by Melanie.